Delia loves Double Dutch. And she's good at it. Really good. So good that her team has a chance to win the World Double Dutch Championships this year -- Delia is sure of it. What she is less sure of is her chance of passing the school's state exam, because Delia has been using her success at Double Dutch to mask a secret that could jeopardize her place on the team, and also her future. Delia's not the only one with a secret. Her potential boyfriend, Randy, has one too -- his dad has been missing for weeks, and Randy hasn't told anyone for fear he'll be put in a foster home. But he is running out of money and getting scared. With consummate skill and an uncanny ability to capture how real kids think, act, and feel, Tears of a Tiger author Sharon M. Draper weaves these three stories tighter and tighter, creating a novel that tingles with suspense and emotion. "Look out, girl, here come the Tolliver twins! Have mercy! They look like they're ready to bite something." Delia pulled her books close to her body and tried to avoid what looked like was going to be a direct confrontation with the two most feared boys at the school -- Tabu and Titan Tolliver. "Or kill something," Charlene whispered, eyes wide with real concern. "I wouldn't want to be alone in a room with them. Every time they pass me, I get so scared, I feel like I'm gonna wet my pants!" "That's disgusting!" Delia said, laughing, as she glanced at Charlene. "I ain't lyin'! I'm scared for real! I heard they kill puppies and kittens for fun. Felicity Johnson lives next door to them, and she told me she found her kitten dead on her front steps. It had been stabbed with a knife," Charlene said dramatically, shuddering at the thought. "I heard that, too. But that's no proof that the twins killed her kitten," Delia said, trying to sound reasonable. "Sometimes kids just make that stuff up 'cause it sounds gross." "Greg Mason's dog was also killed. Stabbed. And he lives down the street from the Tollivers," Charlene added with authority. "His next-door neighbor's cousin told me." "I heard Greg's dog got hit by a car," Delia replied. But she still watched nervously as the two unsmiling boys approached them. It was as if a double shadow was heading their way. "The dog is still dead," Charlene said, refusing to accept any other explanation. "And Greg's house is awfully close to the Tollivers'. Yo Yo told me the twins carry knives and sawed-off shotguns and hand grenades in their book bag." Charlene spoke as if she believed it. "You believe that?" Charlene asked, hoping Delia would say no. "Most times I don't believe Yolanda, but those two are some scary dudes. I wouldn't be surprised at anything. Before you know it, we'll be needing metal detectors on the front doors around here." "I'm surprised they haven't got around to that -- makin' this place feel like a prison. Most of the big-city schools have all kinds of security these days," Charlene stated with authority. "Yeah, I know. Small-town schools, too. It's a shame. Why do you think the Tollivers dress in the same black clothes every day?" Delia asked in a whisper. "You think that's all the clothes they have?" "Maybe they want to show people how bad they are!" Charlene said softly. "They made me a believer!" "You got that right! Quit whispering! They know we're talkin' about them!" Delia and Charlene tried to move out of the way of the twins, but the halls were crowded, and everybody seemed to be trying to do the same thing. Titan and Tabu -- tall and impressive-looking, dressed exactly alike in black jeans, black sweaters, and black skullcaps -- strode through the hall not as two people but as one unified force. Their faces wore the same menacing frown, their fists were clenched into the same tight threat, and their thick black boots stomped in unison on the scuffed hallway floor. They carried no books, even though it was almost third bell. They glared at Charlene and Delia as they pushed through the crowded hallway. With his shoulder, Titan pushed Delia against the lockers, and Tabu knocked Charlene out of the way in the other direction as they passed. She lost her balance and fell to the floor in a heap of books and papers. Tabu and Titan glanced back at them as though to make sure their authority had terrified the two girls. It had. Delia said nothing and looked the other way rather than risk a confrontation. A sea of people in the hall separated as the two forged a path through the crowd. "Kids treat Tabu and Titan like they're Moses in the wilderness," Charlene said with disgust as she picked up her books and papers. "Looks like the parting of the waters of the Red Sea as they go through there." "No, not Moses," Delia said, rubbing her shoulder. "Moses was a holy man. Those two are...bad. I can feel it." "They give me chills. They don't talk to people, they don't speak up in class -- I think some of the teachers are scared of them too," Charlene declared as they headed on to their classes. Delia sighed. "Miss Benson, my English teacher, is real scared of them, I know. She's just a first-year teacher -- she doesn't know how to handle the rough kids yet. It's all she can do to figure out how to handle the thirty-one other kids in the class, let alone the Terrible Tollivers. There's the bell. That's where I'm headed now. Wish me luck." "Peace out, Delia. Stay clear of those two." "You don't have to warn me. Besides, I got enough problems of my own to take time to worry about them. Later." Delia hurried down the hall and into her classroom just before Miss Benson closed the door. She was glad her seat was in the front of the room, far away from Tabu and Titan, who sat in the very last row in the back. Miss Benson had not tried to change their seats when they transferred into the class during the second week of school. Delia figured the teacher wanted to keep as much space as possible between her and those two openly hostile boys. Miss Benson was very young -- just out of college. She still had hints of teenage acne on her face and she dressed more like a teenager than a teacher. Delia had thought she looked really uncomfortable in the business suit that she had worn for Open House -- she was probably a jeans-and-sweatshirt kind of person. She liked to play with her hair, and she giggled sometimes when she should have put on a stony face. But Delia liked her because Miss Benson was energetic and excited about teaching, not like many of her other teachers, who seemed so tired every day. Delia also liked her because she could fool Miss Benson so easily. Miss Benson still had much to learn. Delia forgot about Tabu and Titan for the moment as class began. Miss Benson tried to be pleasant and conversational as she took attendance. "Quentin Bates? Glad to see you back. That flu bug is a doozy! Make sure you see me after class for makeup work." Delia answered with a smile. "Here." "Smiling and prepared, as usual, I see." Miss Benson liked her, Delia could tell. Delia knew most of her teachers liked her because she was always pleasant and cooperative, willing to run errands or pass out materials. "Are you jumping on the Double Dutch team again this year?" "Oh, yeah -- it's the bomb!" Yolanda blurted out before Delia had a chance to answer. "Me and Delia and Charlene Byrd are the best jumpers on the face of the earth! You oughta come see us jump tomorrow! It's just the city qualifying competition, but I'll still be dynamite! Or you can come to the state finals in a few weeks if you feel like driving to Columbus." Delia turned around and grinned at Yolanda, who always enjoyed being the center of attention. 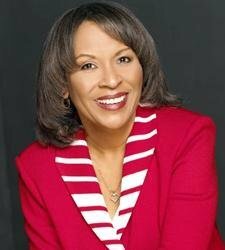 She also noticed that the Tolliver brothers had glanced at each other as Yolanda spoke. Delia's smile faded into a frown. Miss Benson replied, "I'm very proud of all of you, but I can't come tomorrow. However, I promise I will come to see you jump one of these days." "Okay, then plan to come to the national finals -- well, we call it the World Championships because kids from places like Taiwan and Canada and Germany come here to compete. They're gonna be held here in Cincinnati in a couple of months. And I WILL be the star!" she boasted with a grin. "I'll let you know the dates and stuff." Miss Benson promised again to try to make it. The rest of the class started to talk about the Double Dutch team, the baseball team, the choir -- the conversation expanding as each person added something about their own particular after-school activity. "Let's settle down now," Miss Benson said mildly. She continued through the rest of the names on the list, even though she could see at a glance who was absent. It was her way of making the class feel comfortable. Delia liked the fact that Miss Benson took the time to talk to the kids, even if it was just stupid small talk before each class. "Leeza Moxley? Nice hairstyle this morning." Leeza smiled and stood for everyone to notice her curls and waves. Most of the kids ignored her, but Leeza didn't care. She had been given a chance to show off. "Miss Yolanda Pepper," Miss Benson said with a little bow, as if Yo Yo were some kind of princess. Yolanda loved it, of course. "What a lovely necklace," Miss Benson began. "I got it in Mexico when me and my parents went this weekend," Yolanda said immediately. "It's real silver." "My parents and I," Miss Benson said automatically. Then she asked, "You went to Mexico just for the weekend?" Delia laughed to herself. She couldn't believe that Miss Benson could keep falling for Yolanda's tall tales. Yolanda, who liked to be called Yo Yo, specialized in not telling the truth. "Hey, Miss Benson, you ought to know you can't believe Yo Yo. She lies like a rug! She ain't never been to Mexico. And she got that necklace at the dollar store!" Randy shouted loudly across the room. "Now you just telling everybody where you buy your clothes!" Yolanda retorted. Randy grinned and yelled back, "No, but I saw your mama there. She's so backwards, she was askin' for a price check at the dollar store!" "Don't you be talkin' about my mama, Randy! I was in Mexico and I can prove it," Yolanda insisted. "I'll show you my plane ticket stub!" Yolanda furiously dug in her purse, searching for the paper that would prove her story. "I can't find it, but I'll bring it tomorrow. You can call my mother and ask her!" "Your mama probably don't even know where Mexico is!" Randy teased. "Your mama is so dumb, she couldn't pass a blood test!" Everyone in the class laughed, except for the Tollivers. Yo Yo put her hands on her hips and fired a look of challenge at Randy. "I told you don't be talkin' about my mother! Your mama's so backwards she sits on the TV and watches the couch!" Randy quipped back quickly, "Well, your mama's so clumsy she got tangled up in the cordless phone!" "Well, I heard your mama took a spoon to the Super Bowl!" "That's enough from both of you!" Miss Benson said sternly. "I will NOT have this kind of disrespect in my classroom!" She was quickly losing control of the class. Delia watched with mild amusement. As she sat down, Yolanda muttered loud enough for Randy to hear, "At least I got a mama!" Randy's smile faded. He tried to hide it, but Delia could see the hurt look on his face. Miss Benson went back to taking attendance. "Tabu Tolliver?" The room was silent. "I see you're here. Good," Miss Benson said. "Titan Tolliver? Also present," Miss Benson said, almost to herself. She looked a little nervous, Delia thought. "Randy Youngblood? As if I need to ask!" "Yo!" Randy shouted loudly. "The Youngblood is here! And I'm sorry for all that stuff I said, Miss Benson. Yolanda's mama is cool with me." He was trying to regain a little power, Delia realized. Yolanda had been way out of line. Randy's mother had left her husband and her son a couple of years ago. Randy had not heard from her since, and even though he tried to cover it up with jokes, Delia knew it still was a painful subject for him. "Sit down, Randy. Nobody could miss you. And your apology should go to Yolanda." Randy glanced at Yolanda, but she had taken a brush from her book bag and was noticeably fixing her hair while ignoring Randy completely. "That's everyone. Let's get started." Miss Benson began by passing out several typed pages that had come from the school office. "Put the brush away, Yolanda. Your hair looks fine." Without pausing to make sure Yolanda did as she was told, Miss Benson continued: "As you know, class, the state proficiency test is coming up soon. It's extremely important for you as eighth graders because it will determine if you go on to ninth grade. We've been practicing and preparing all year for this, and I know you're ready -- I'm confident you'll all do fine. Take these information forms home to your parents and bring them back signed on Monday. The test is next month. Are there any questions? Yes, Randy?" "You're not going to fail. You're the biggest, smartest thing in here!" Miss Benson said, laughing. "I think so too. And the best-looking, too! I just wanted to hear you say it!" Delia loved the way Randy always made class fun. He joked around and teased all the teachers. But he always made good grades -- straight A's. "Yes, Yolanda?" Miss Benson sighed. Delia could tell this was not what the teacher had planned for today's class. But Delia didn't care; anything that stalled real academic work was fine with her. "I can't take the test," Yolanda began as she stuffed the brush into her book bag and took out a small mirror to check the results. "I read an article that said excessive testing causes blood clots in the brain. I can't afford to risk my health for a stupid test. I am a champion Double Dutch jumper, you know." "I'll pay for your hospitalization," Miss Benson zapped back at her. She's learning, Delia thought. Delia asked no questions. She looked at the forms, found the line marked with an X for the parental signature, and expertly signed her mother's name on the information sheet. She had memorized both of her parents' signatures long ago. Then she stuffed the forms into her book bag. The rest of the class asked lots of questions, mostly to delay the start of the lesson. Miss Benson tried to answer every one, seemingly unaware of their delaying tactics. Finally she said, "Okay, that's enough on that. Class, get out your notebooks. Let's get started." Tabu and Titan glared at her in a stony silence from the back of the room. They did not move, and Miss Benson said nothing to them. She looked as if she was trying to pretend that they weren't there. But they never took their eyes off the teacher. It seemed to Delia that they weren't watching Miss Benson to learn but were checking her out for something more sinister. She seemed to be uncomfortable with their hard, unflinching stares, and she made a big deal of passing out books and checking book cards. Delia noticed that she looked everywhere except at the twins in the back of the room. But they never stopped watching her. Delia turned her attention from Tabu and Titan to the new book that the teacher was introducing. The old familiar feeling of dread filled her stomach as Miss Benson began the lesson. Delia took out her notebook and pretended to take notes, but what she wrote was in handwriting so tiny that no one could see what she was writing. But even with a magnifying glass no one could have read what Delia had written. It was all tiny scribble. They were starting a book called Lord of the Flies -- something about kids in a jungle, she figured from the picture on the front. I've got to see if there's a videotape of this, Delia thought. She flipped through the pages and sighed as line after incomprehensible line of gray text stared back at her. She recognized many of the words -- the shorter ones, and the words that were easy to identify or memorize. But sometimes even those danced around the page like unruly children. Sometimes an easy word like "boy" looked like "yob." And sometimes it looked like the whole page was written in Martian. She sighed, frowned, and listened carefully to every word Miss Benson was saying. She had an excellent memory and could sometimes tell the teacher word for word what had been said in class the day before. But Delia couldn't read. Delia loves Double Dutch jump roping. And she’s good at it. Really good. But Delia is using her success to mask an embarrassing secret: She doesn’t know how to read. Her friend Randy has a secret too. His dad has been missing for weeks and he’s almost out of money, but he’s afraid to ask for help. These two storylines collide at the World Double Dutch Championship as Delia and Randy are also forced to deal with the very real threat of violence at school, coming from two of their fellow students, the menacing Tolliver twins, who also have a secret: They like to make people scared. But will they act on their threats? 1. Double Dutch begins with a discussion of the characters’ fear of the Tolliver twins. Trace how the idea of fear and the result of fear are developed throughout the story. 2. The twins use intimidation and fear to terrorize the school. Analyze the names Titan and Tabu. Why are their names intimidating? What other factors about the twins make them seem dangerous and deadly? 3. Why is the television program, which the twins appear on an effective way to increase their negative reputation? Discuss the effect of these kinds of talk shows. 4. Yolanda is a humorous character because she tells tall tales and exaggerates. Basically, however, she is a liar. Discuss, by using other characters in the story, how lies and deception can have serious consequences. How can the character of Yolanda be justified if lying is a negative trait? 6. 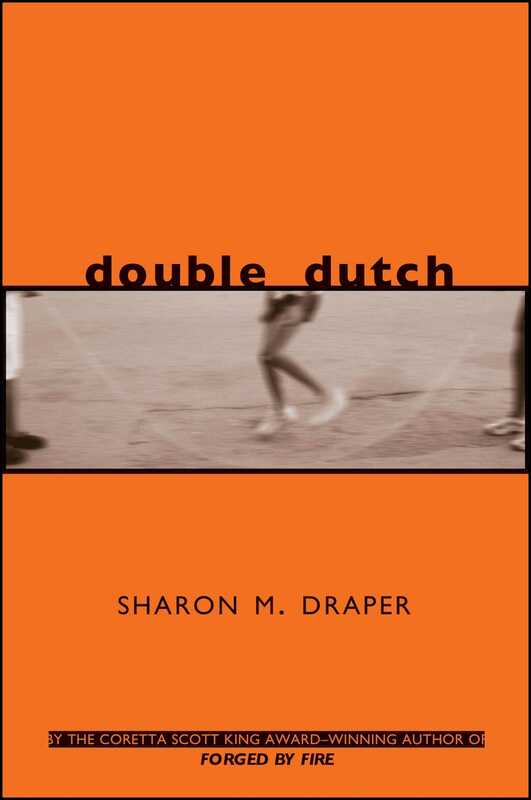 Double Dutch is more than just a story about jumping rope. Discuss how the title can have more than one interpretation. Find all examples of “double” ideas and events in the story. 7. The tornado is a natural disaster that brings about a number of plot developments. Explain how the tornado can be interpreted as a “character” that affects the rest of the characters and events in the book. 9. A powerful friendship can often make a difference in the lives of young people. Discuss how Delia’s friendships with Yolanda and Randy make a difference in her life. What might have happened if Yolanda and Randy had not been real friends to Delia? 10. Delia’s problem is that she cannot read, yet she is obviously very intelligent. Give examples of Delia’s intelligence and show how she was able to escape detection for so long. 13. What predictions can you make about the following? Write a descriptive paper using one of the four sentences above, or choose another sentence from the book, as a starter. Use vivid verbs and powerful adjectives and adverbs as you write. Use as many of the senses as you can (sight, sound, smell, touch, and taste). Write a narrative paper from the point of view of the gym. Tell what kinds of games were played, the kind of people that sat there and watched them, the athletes that played, the food that was sold, etc. Take any aspect of “the life of the gym” and develop it. Write an expository paper on a sport. Tell how the game is played, give some of its rules, and explain why it is successful as an enjoyable physical activity. Write a persuasive paper that argues the following point: “Metal detectors are useful and necessary and should be installed in all schools to insure safety.” You may agree or disagree with this statement, but you may only argue one side of the issue. Read the novel Lord of the Flies. Write a paper that discusses the ideas of fear and violence, as the students did in Miss Benson’s class. Compare ideas from Double Dutch with ideas from Lord of the Flies. 1. Investigate more about the sport of double Dutch. Learn the rules and regulations and learn the steps required. Have a double Dutch tournament at your school. 2. Investigate tornadoes or hurricanes as storms of destruction. Find out how they are formed, what causes them, and what their effects are upon the people that are involved in such a storm. 3. Investigate TV talk shows. How real are the people that appear on the shows, and how are they chosen? Why are such shows popular? 4. Investigate reading problems such as dyslexia. What are the causes and cures? What academic difficulties are encountered? How can a student with reading problems be helped? 5. Write a paper that investigates the effects of divorce on young people. You may discuss custody arrangements, adjustment, or financial situations. Show the results of the effects of divorce on school, personal, and social situations. You may show both positive and negative results. 1. Create a TV show where Randy and his father are reunited. 2. Pretend you are a TV reporter at the scene of the tornado. 3. Pretend you are a TV reporter at the scene of the double Dutch tournament. 4. Create a skit similar to the one that the students produced for class. 5. Create a skit that acts out the reunion of the characters in ten years.